The Political Brain is the classic text on the role of emotion in determining the political life of the nation. 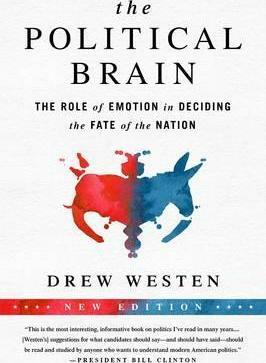 In this substantially updated edition, Drew Westen, professor of psychology and psychiatry at Emory University, shows why in politics, when reason and emotion collide, emotion invariably wins. Elections are decided in the marketplace of emotions, a marketplace filled with values, images, analogies, moral sentiments, and moving oratory, in which logic plays only a supporting role. The evidence is overwhelming that three things determine how people vote, in this order: their feelings toward the parties and their principles, their feelings toward the candidates, andâ€”if they haven't decided by thenâ€”their feelings toward the candidates' policy positions. That's why only two Democrats have been re-elected to the presidency since Franklin Roosevelt, and only one Republican has failed in that quest. It's also why presidential candidate Donald Trump's emotional rants and raves have been capturing national interest in 2015. Westen turns conventional political analyses on their head, suggesting that the question for Democratic politics isn't so much about moving to the right or the left but about moving the electorate. Now a classic work, The Political Brain will be newly relevant as both parties struggle to refine their campaigns for the 2016 presidential election.